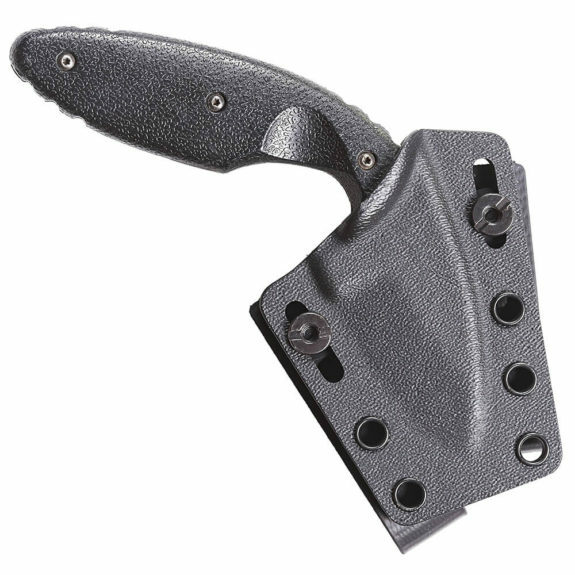 There have been a number of changes to the Ka-Bar TDI Law Enforcement Knife over the years. This knife remains an absolute bargain when it comes to self-defense knives but things like thickness and even the shape of the primary bevel have seen changes throughout long time production of this knife. Most aftermarket TDI sheaths do not account for these changes in their design which can lead to poor fit and performance. PHLster has updated their TDI Fightworthy Sheath to include dual tension adjustments. These adjustments should let the sheath offer better performance across all of the available TDI production variations. I do not know of another TDI sheath on the market with adjustable retention.